Have you ever been cruising around a new site and just loved the way a certain font looked? You want to know what it is called so you can use it, but how? If you have a little knowledge of code, you can right click the element and search through the developer console for the css class that has the font, which is easy enough but when you are doing it constantly – even that can be time consuming. Well, I stumbled on a great tool that even non-developers can use that quickly lets you know what any and every font is on a webpage (except image fonts). 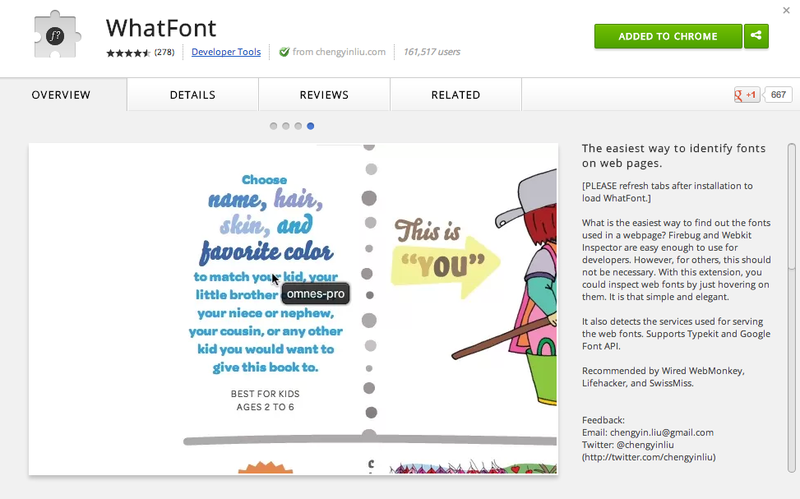 It is a chrome extension called What Font. It is dead simple. When you are on the page with the nice fonts, you simply click the extension logo in your browser and it triggers the tool. Now, every time that you hover over a font, the extension will tell you what the font is and even what the fallback fonts are. Simple, awesome and easy.